Screws and bolts hold the world together - literally! Because the little guys have such important jobs, they come in wide varieties of shapes and sizes. Your backyard deck is constructed with a handful of specialty fasteners. Each of these has a specific purpose in ensuring you enjoy a well-built deck for years to come. Whether you are a homeowner making a decision based on aesthetics and value, or a pro builder looking for the slickest installation options, we have you covered. So fasten your seatbelt and enjoy our guide to selecting the best deck fasteners for your project. A simple distinction between these two fasteners is that a bolt passes through its anchoring material and receives a nut, while screws thread directly into their anchoring material. The head, neck, shank, thread coarseness, tip, and material/coating of both screws and bolts will vary according to their application. To stainless, or not to stainless? That is the question. Stainless steel screws provide the most corrosion resistance and are typically required in coastal applications. For most other applications, stainless steel is an optional and expensive upgrade. Carbon Steel with Alkaline Copper Quant (ACQ) approved coating is the most common and recommended deck screw. The copper element in treated lumber destroys non-coated metals. Pro-tip: keep this in mind when other metal decking products, such as railing posts and flashing, come into contact with treated lumber. A small scratch left uncoated can lead to a costly repair down the road. Coated Screws are also stronger and less expensive than stainless steel fasteners. 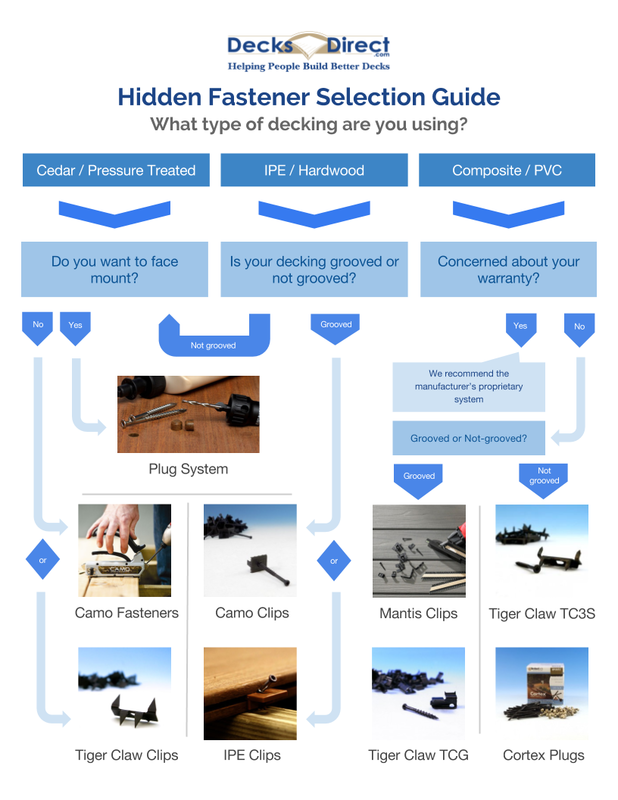 With these basics covered, let’s dive into the world of deck specific fasteners. Decking Installation - Face Screws or Hidden Fasteners? Basic Deck Screws are used to hold down your decking material in a face screwed application. This is the tried and true, old-fashioned way. There are a few key considerations for this type of decking installation. Deck Screws come in flat head and trim head designs. Flat head screws offer a slightly larger head than Trim Head screws and will drive to a flush finish on the top of your material. Trim head screws are very similar to Flat head screws but with one major difference, they’re designed to eliminate dimpling while disappearing beneath the surface of your decking. Trim Heads can also be used with plug systems to make them virtually disappear. For those who love the clean look of a fastener-free deck surface, hidden fasteners are the way to go. The aesthetics and smooth walking surface of your decking is retained. You will not have unsightly screws to look at or trip over. There are a wide variety of hidden fastener systems available. We’ve put together an infographic to help you decide which system is best for your application. When should you face mount your decking? When should you use a hidden fastener system? Even though framing fasteners are often an afterthought when constructing a deck, choosing the right screw or bolt will ensure a solid foundation for your deck. Through-bolts or ledger screws are used to attach a deck’s ledger board to the house. Through-bolts are used when the interior of the wall cavity is accessible during installation. Ledger screws function like lag bolts and are driven into the home’s rim joist. Building code will determine fastener selection and will vary depending on where you live. There are some innovative products in this category. ThruLok Screw Bolt By FastenMaster is one of them. ThruLok offers speedy installation with the strength of a through-bolted connection. No need for pre-drilling or for a second person to hold a wrench, simply install with a drill in seconds. ThruLoks are a great choice anywhere you would use a traditional carriage bolt and nut. 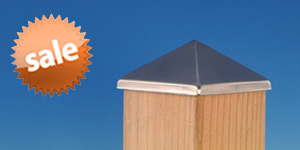 Basic flat head decking screws are commonly used for most framing applications. This includes joist, blocking and stair stringer installation. The most popular screws we sell for this purpose are the R4 Deck Screws By GRK Fasteners. Often used in place of traditional lag bolts, Structural Screws are used for load-bearing applications such as attaching a deck’s beams to its structural posts. They can also be used for ledger attachment, and for other outdoor structural projects like building retaining walls or for log and timber framing. The 5/16" RSS Rugged Structural Screw by GRK Fasteners is one of our top sellers in this category. There are two main types of concrete fasteners used in deck construction - anchor bolts and concrete screws. Anchor bolts can either be set in the concrete while it is poured and wet, or drilled and set into place using the wedge bolt variety. Concrete screws are very similar to general purpose construction screws, but have special threading and require a masonry drill bit for installation. 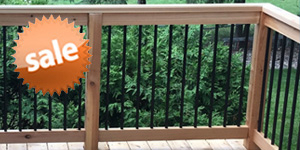 Selecting the correct fasteners for your deck project is important to ensuring you enjoy a safe outdoor space. Whether you refer your builder to us or shop with us yourself, DecksDirect is here to help you get what you need for your deck project. Don’t worry about searching for parts across multiple retailers. We have what you need and our website is designed to guide you through the ordering process. Our team strives to exceed your expectations by providing honest, accurate, and friendly service that you can trust. 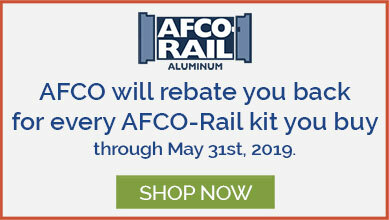 Because we are the nation’s largest stocking online retailer of deck accessories, you can trust that most items will ship the same business day if the order is placed by 3:30pm CST, Monday-Friday (excluding special order items). At any point in your project, even if you have just a few simple questions, feel free to give our deck experts a call at 1-888-824-5316 or send us an e-mail at support@decksdirect.com. Thank you for reaching out to us! We apologize for the inconvenience with your product. For us to best assist you and thoroughly answer your questions we recommend for you to call in and speak with a representative. You can reach us directly at our toll-free number, 1-888-824-5316. We look forward to hearing from you and assisting you with your project! I purchased Mantis hidden fasteners and ballistic nails to use in my brand new Senco gun with the Mantis accessory slide. I first order the incorrect fasteners and had to order the Ballistic nails separately which were slow to be delivered costing me a week behind schedule. Once I had all the materials I started installation using the ballistic nails in the Senco nail gun. The nailer sets the fastners fine at first however the paper holding the nails in line jam up the feed. I could only get three to four nails out before a jam. This required removing the nails trimming the paper and reinstalling in the gun. Three or four nails and boom another jam. What a disappointment, basically $ 500.00 + for a nail system that's basically worthless. Love the fastners, hate the nails or nailer not sure which is causing the problem but ordering another batch of fasteners with ballistic nail screws hoping it was just a bad set of nails the first time. Isn't doing the same thing over and over again expecting different results the meaning of insanity, I hope that's not the case with this order. I found the head of the screws supplied with the fasteners (manual installed) (stainless steel) to be easily stripped with little holding power. Had to switch to stainless steel ring shanked nails fired through my metal fastener gun which works well but doubled the cost for fasteners. This will be the last job I use the Mantis system unless things work better with the new nails or the fasteners become available without the nail / screws.